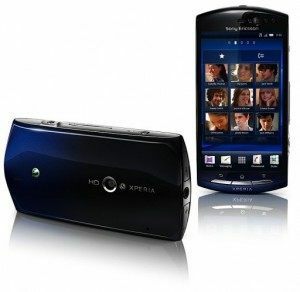 The Sony Xperia Neo has been one of the most popular terminals market for a couple of past years but now you may want to sell it into the flea market, or give it away. But then perhaps you forgot your unlock pattern password, or you may need to erase all your personal data inside the phone. These tutorials will definitely help you on achieving this. As a way of introduction, this is a phone with 8 megapixel camera on the rear and a Snapdragon processor running at 1GHz, displaying a 3.7″ TFT touchscreen with up to 32 gb microSD expansion capability… all this contained im a 126 grams casing of pure style (116 x 57 x 13 mm). Today we will learn how to reset Android on the Sony Xperia Neo with two simple methods. The first tutorial includes the hard reset method through buttons, just in case that you have to reset it from scratch because forgot the security pattern or key code of your Android Sony Xperia Neo or the Android operating system is unstable or totally damaged. There is also a second method, involving the use of some specific software provided by Sony for your phone: By following the instructions on screen it will allow you to recover your Sony Xperia Neo into the factory default. With both volume buttons on the side pressed, also press the power button for at least 5 seconds. The custom recovery menu will be presented to you. You will force your Sony Xperia Neo into its original factory settings. Download the application from this link and install it. Connect your Sony Xperia Neo into your PC and wait for the computer to recognize it and install your custom drivers. On the PC application, enter Support Zone and use Tools> Phone Repair, to perform a repair of the device and wait for the program to complete the job. With these two options to hard reset Android on your Sony Xperia Neo phone, you will be able to get it into a new factory default device.